I was driving home the a while back, waiting to turn left at an obscenely long light. Suddenly, the drive home went from painful to littered with oodles of excitement! Why? Because the radio station was talking about Diploma Mills!!! Anyone watching would have thought I was crazy the way I was talking to the radio! Honestly, I love my job and love this industry. I tell anyone who will listen why it’s important to work with professionals to background screen employees and applicants. Finally!!! There is national broadcast fueling my argument during RUSH HOUR of all places!!! Without weighing in on the specific school discussed and the degree mill allegations in the broadcast, degree mills are a million dollar industry. They supply fabricated diplomas from high school through doctorates to anyone who will pay for one. Anyone. That includes entry-level employees, skilled professionals, executives… literally anyone. Here’s a Google search for high profile resume fraud. Yahoo CEO, RadioShack CEO, the real life Catch Me If You Can, Dean at MIT. Yup. All the way to the top! 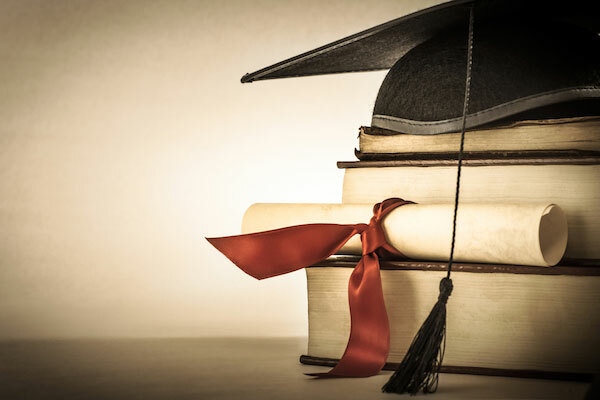 Diploma mills, or degree mills, provide individuals with fake education credentials, from a high school diploma to doctorates without requiring much if any work, classes, exams or waiting. They exist all over the world, including in the US, and have been increasing as online education grows. Diplomas from these institutions look quite real and sometimes mimic those of a real and reputable school. Mills may even create full websites and claim accreditation (typically from fake companies). How is a fake diploma identified? Not easily. The FTC’s diploma mills article provides a great synopsis on how to identify a mill as a prospective student. In general, you might be enrolling in a diploma mill if there are no required classes or exams, flat fees, immediate diplomas, and aggressive sales tactics. But this article applies only to those enrolling in to the school and is not black and white. Verifying the diploma that came out of it is another story. At a glance, accreditation may differentiate between the legitimate and the mill. However, this is not a fail safe because some perfectly legitimate schools are not accredited, while others claim it but are not. To aid in the search, the U.S. Department of Education maintains a list of accredited institutions. When in full pursuit, transcripts can be requested to confirm course of study or the state’s attorney general office may be contacted to verify the institution is operating legally. On the simpler side, physically inspecting a degree in question can indicate a mill: the school’s emblem doesn’t match the site, there are typos, or the Dean’s signature does not belong to anyone on the school’s faculty. Ironically, while searching for stats, I came across this article in Entrepreneur that mentioned degree mills and why employers should run a background screen. It’s a quick and easy read - again, excited! Resumes are written to influence your hiring decision in favor of the applicant… they won’t mention an applicant doesn’t communicate effectively in meetings or the pending investigation into their alleged embezzlement scheme. They also won’t mention the 6 missing credit hours to complete a degree or the fact it’s fake altogether. As a best practice, a thorough background screen that includes resume verifications, such as education, professional license and employment, will help identify disingenuous applicants. Professional background screens leverage a variety of tools that may be unfamiliar to those outside the industry and play an important role in effective resume verification. Choice Screening’s verification researchers are trained to properly verify an applicant’s education, professional license status and to uncover a false diploma. Contact us with questions about degree mills and verifying education. The Consnet Form: What is the Cost of Non-Compliance?